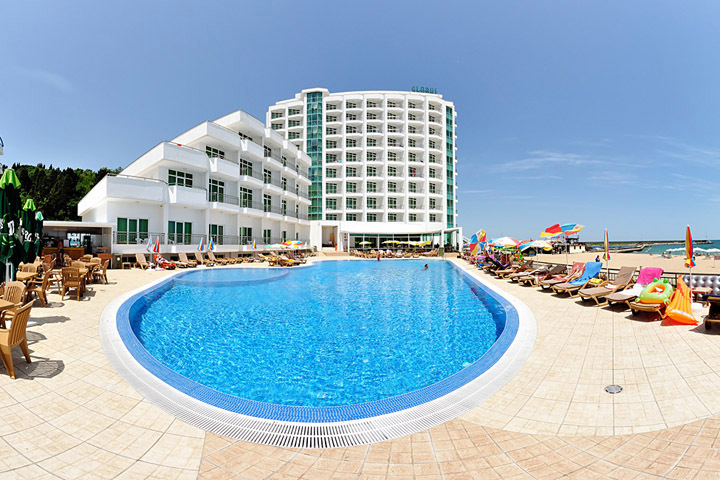 The 4 star Glarus hotel is situated right on the sea front, opposite the Yacht Club where you will find the wonderful Panorama Naturist Beach - one of Bulgaria's finest! 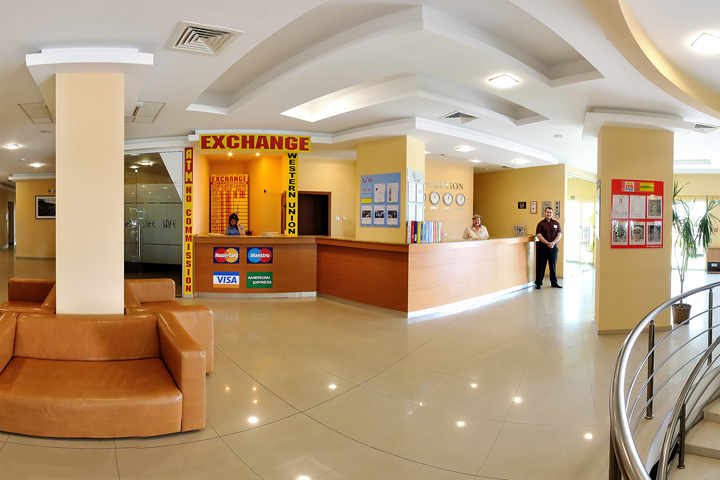 Away With Dune offer this hotel on a Self-Catering or All-Inclusive basis. 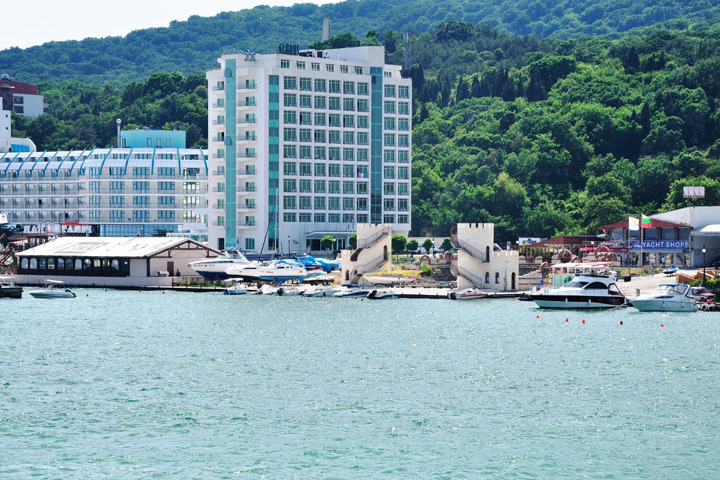 All the apartments and rooms feature a sea view and central air-conditioning. 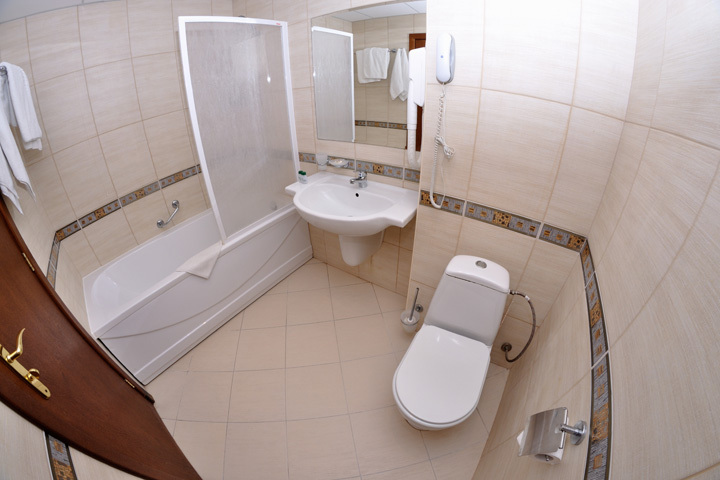 Double rooms - fully furnished, with cable TV, mini bar, telephone, hairdryer, bathroom with bathtub and WC and a balcony. The rooms situated on the top floor offer a panoramic terrace with a beautiful view out to the sea and the rest of the resort. The hotel apartments consist of a bedroom with double bed and a living room with a couch table, 2 armchairs and a convertible sofa and an additional WC. 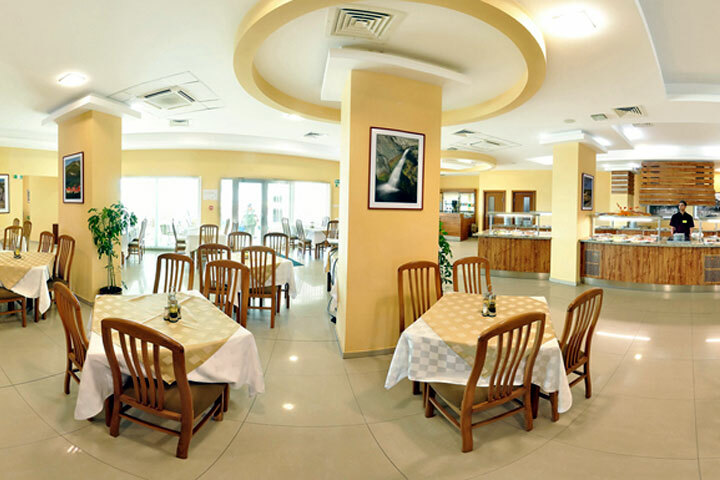 Self-catering apartments are furnished as the hotel apartments and have a fully functional kitchen (oven, 2 hotplates, coffee and water pots and utensils) and a dining table with 4 chairs in the living room. Instead of mini bar there is a refrigerator.